An evocative tour dedicated to the most nostalgic attractions within Kuala Lumpur's ancient areas: the picturesque Chinatown and the city's colonial buildings. On foot, we will visit the historic areas of Kuala Lumpur, which highlight the colourful, colonial and architectural heritage, the lively fusion of culture and the city's major tourist areas. Firstly, we will walk along the banks of the river, where the first colonists landed. We will visit Chinatown's popular covered bazaar, the artistic Central Market, the general district of the British government, the Old Tudor Cricket Club, the Anglican Church, the place where the first colony established itself in the city, the oldest mosque, Chinese and Indian temples and much more. We will sample Tarik tea (literally, "strained tea"), a local beverage, and typical Malaysian sweet fritters. We will cross the centre by coach, taking a photo stop at the Petronas Twin Towers (the tallest twin skyscrapers in the world at 452 m) to arrive at the restaurant where a typical Malaysian buffet lunch awaits. 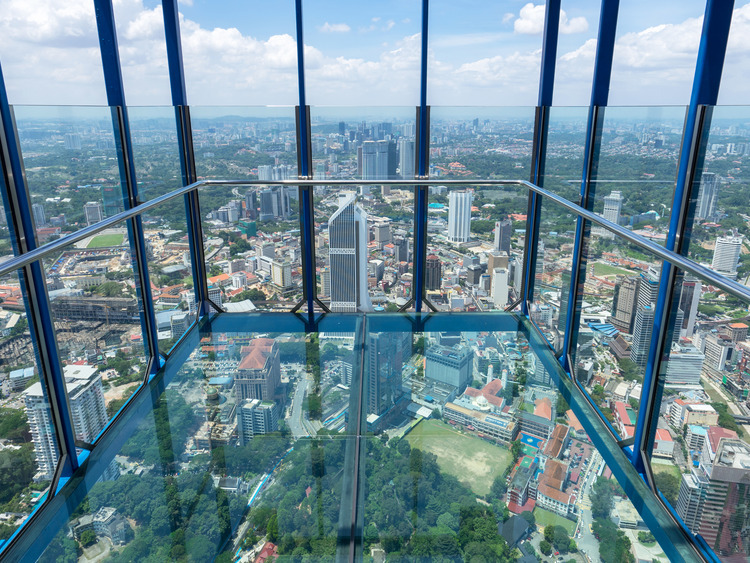 Finally, before returning to the port, we will head to the KL Tower, where we can enjoy a fantastic view of the city. Comfortable walking shoes and casual clothing are recommended in addition to a hat for protection from the sun during the walk in the city centre. The walk takes approximately 2 hours and 30 minutes. The coach transfer from Port Klang to Kuala Lumpur takes approximately 1 hour and 30 minutes.